I recently posted a blog about my favourite wedding photography from 2016. I regularly get asked by couples, family and friends where the best wedding venues are for capturing magical natural wedding photos. This got me thinking about what venues I really enjoy shooting at that allow me to be ultra creative in a live and unstaged environment. With this in mind, here are some of my top choices for best Lancashire venues for amazing wedding photography in 2017. One of the best venues for Lancashire wedding photography, Browsholme Hall & the Tithe Barn always provide so many brilliant options. The Hall offers the opulence, history and luxury of a stately home where many couples choose to have their ceremony. The Tithe Barn for the reception is a recent multi-million pound refurbished barn with period features, oak beams, exposed stone walls and looks incredible when lit by candlelight. Beeston Manor is without doubt one of Lancashire’s most sought after wedding venues and with 140 acres of land to play with, it’s no surprise why. Like Browsholme, it has a converted 16th century barn with high oak beams and sandstone walls. I love shooting in barn venues like this as you can really get a wonderfully atmospheric feel to all your wedding photos. I especially mention Beeston Manor because of the famous helicopter pad for a special arrival of the bride and groom. As you can imagine, this facility means we can capture some truly extraordinary wedding photography! I’ve been a Bartle Hall Wedding photographer a few times in 2016 and I always look forward to returning (as I am already in 2017!). With stunning grounds and gardens (and some decent weather) I can capture some beautiful and natural shots of guests milling about outside on the terrace. More than often, it’s those live and natural shots that produce the very best memories. If it rains, there are plenty of original features and charm inside the building which means that you don’t necessarily have to worry too much about the weather. Nestled in the heart of the beautiful Ribble Valley, Eaves Hall is a stunning Lancashire wedding venue for photography. Yet again, it has the right balance of charm and history inside the Georgian mansion with the surrounding beauty of the gardens and grounds. The venue makes it very easy to capture the elegance of a wedding, but also all the excitement, emotion and joy that only comes with natural wedding photography. 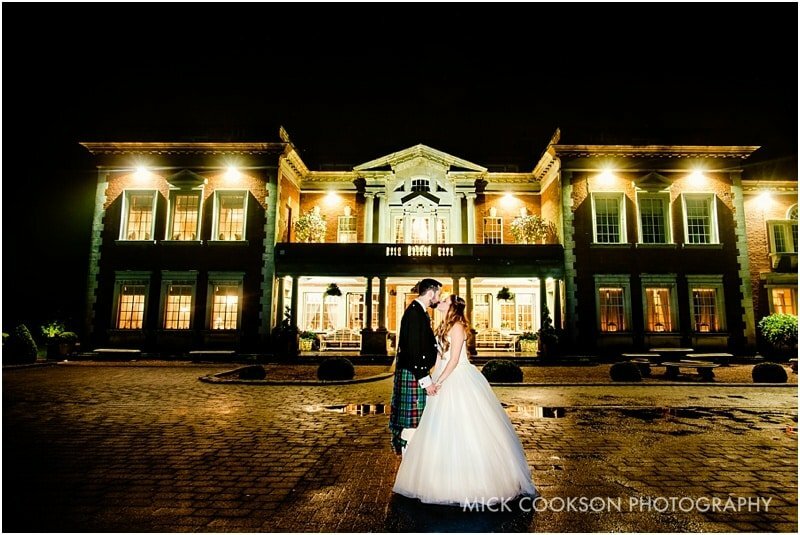 The photo above shows how spectacular Mitton Hall really is for any Lancashire wedding photographer. The 15th century house is full of intricate features, charming quirks and some stunning views over the Lancashire country side. I really enjoy weddings here because they allow you to capture some fantastic natural light shots both in and outside. When the main chandelier is lit and the sun has gone down, the main hall (in the photo above) creates such an intimate and romantic atmosphere that it really makes for a great picture. So there you have it, five of my personal favourite venues for Lancashire wedding photography. If you like what you see and what to have a chat about previous weddings I’ve done in Lancashire, or perhaps even some venue suggestions, please just get in touch.